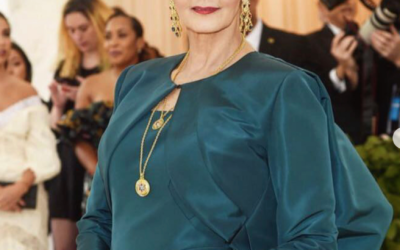 Lynda Carter (Wonder Woman) at The Met Gala with Eleuteri jewels! 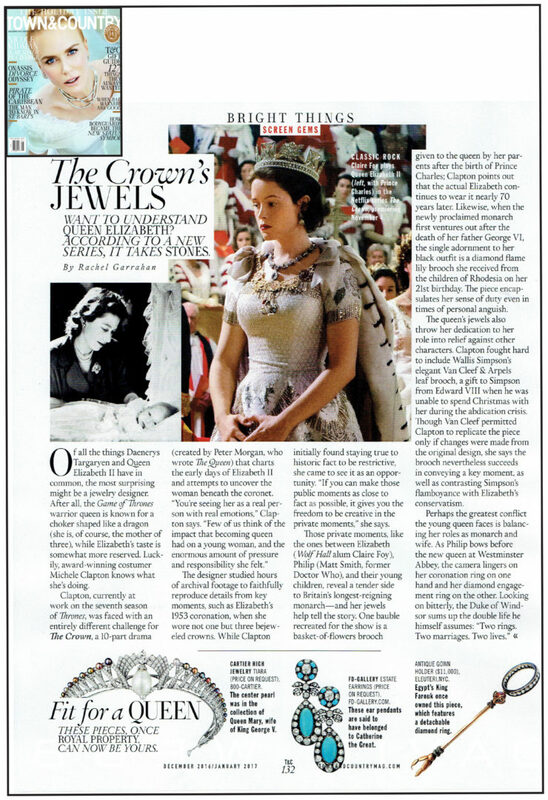 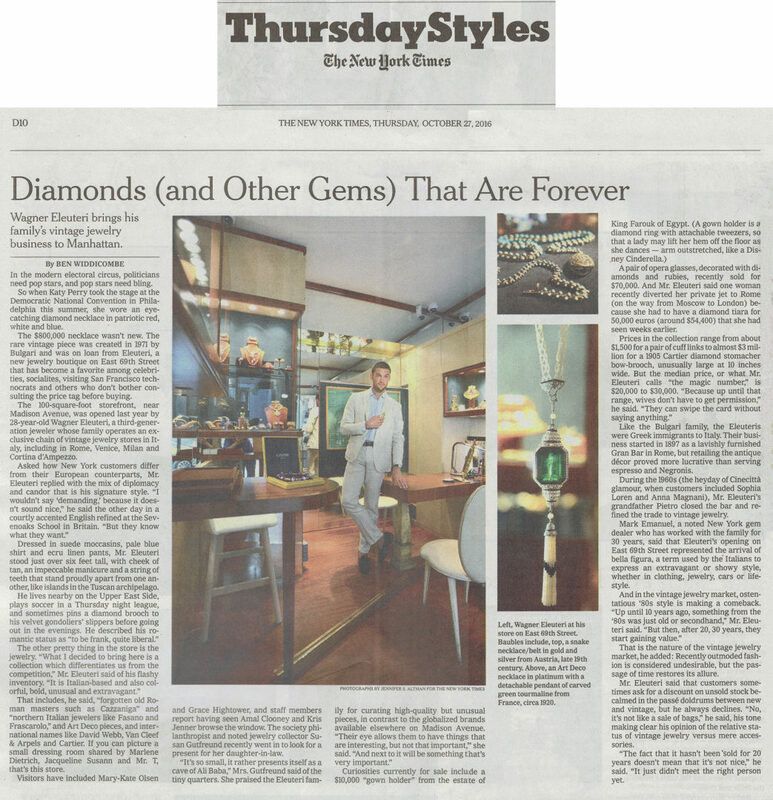 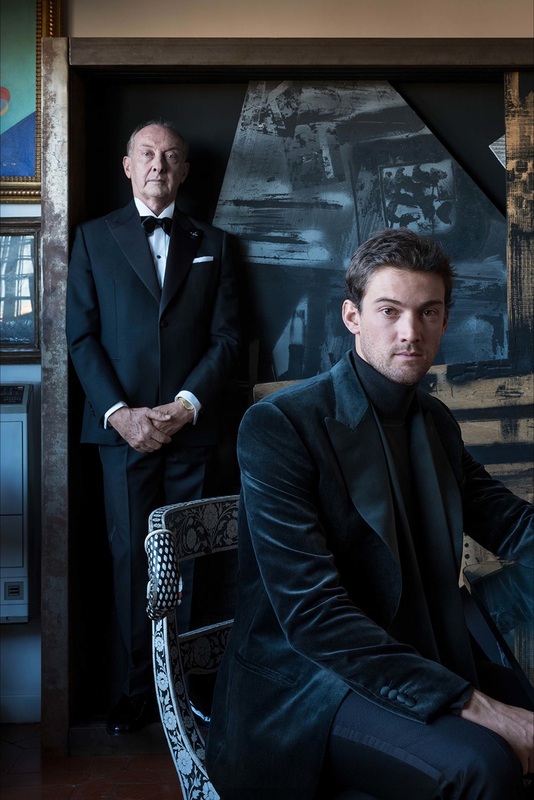 Our Antique Bejeweled Gown-Holder, formerly in the collection of King Farouk of Egypt, featured on Town & Country's insight on the The Crown's jewels. 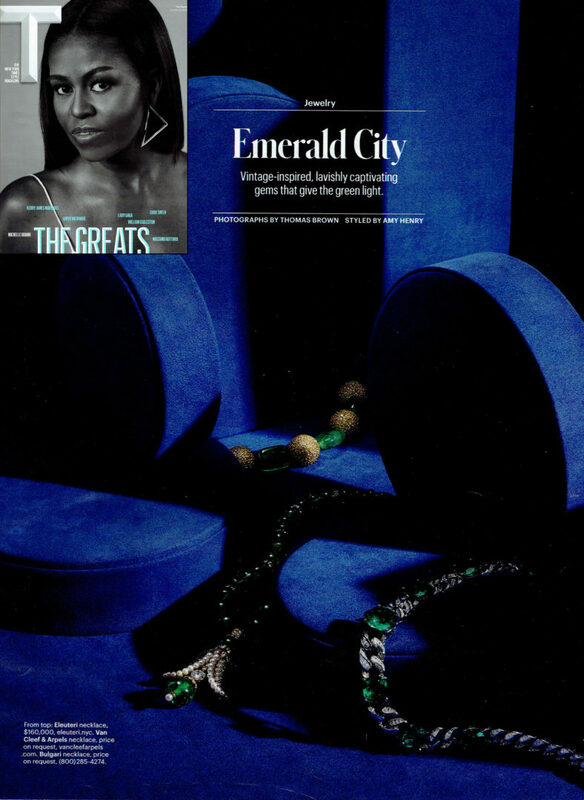 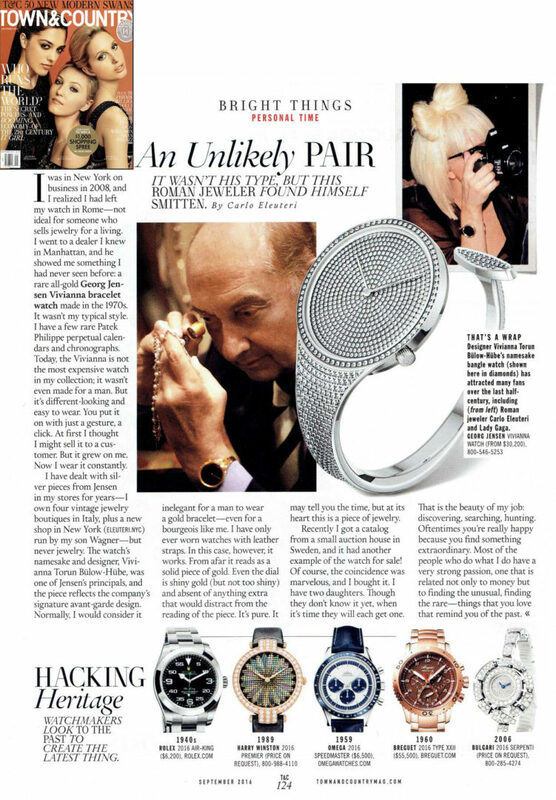 Our Long Emerald Beads & Diamond Balls Necklace on T Magazine's feature Emerald City..
Carlo Eleuteri explains why he loves his Georg Jensen Vivianna clip-on bracelet watch in Town & Country's September (2016) issue..
A Bulgari Tubogas Necklace from our Collection worn by model Andreea Diaconu, featured on Portet Magazine, styled by George Cortina. 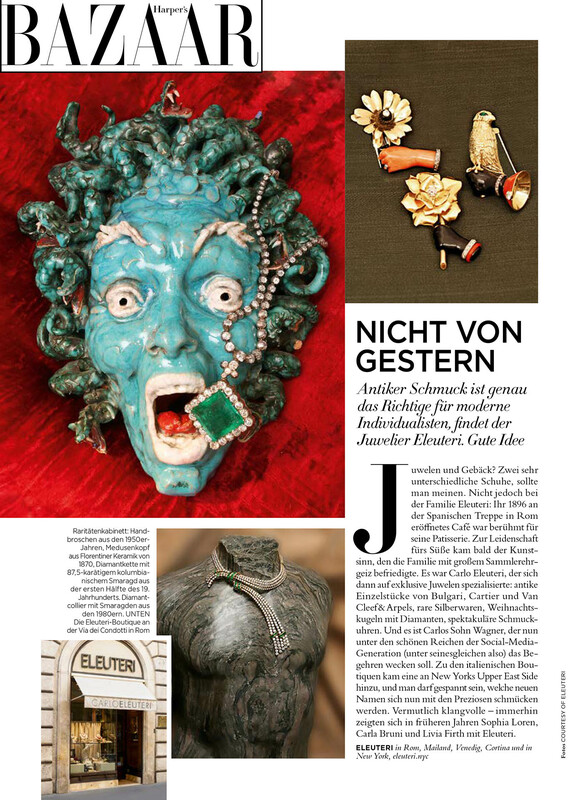 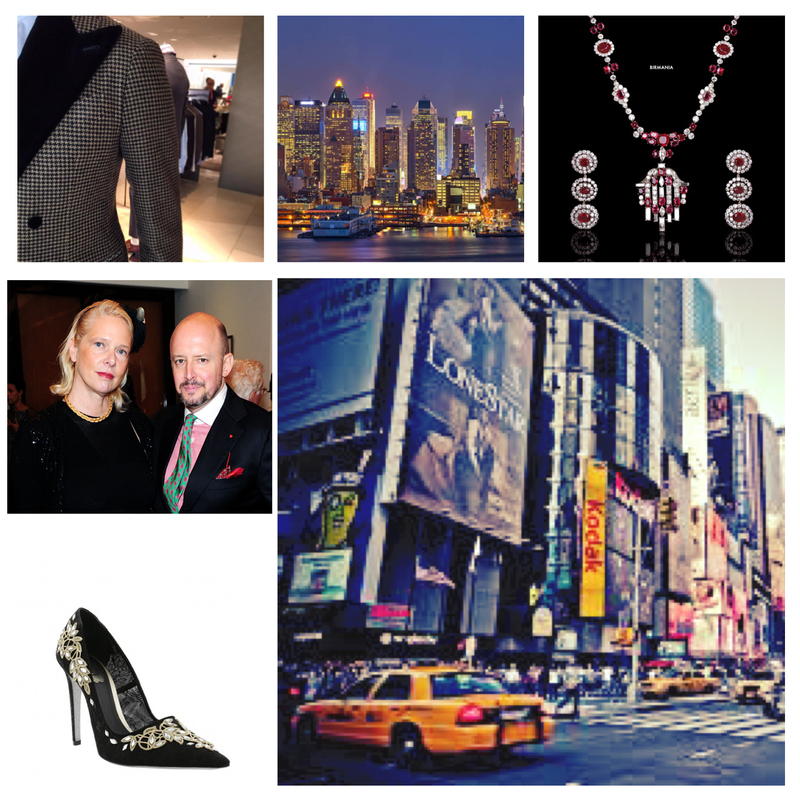 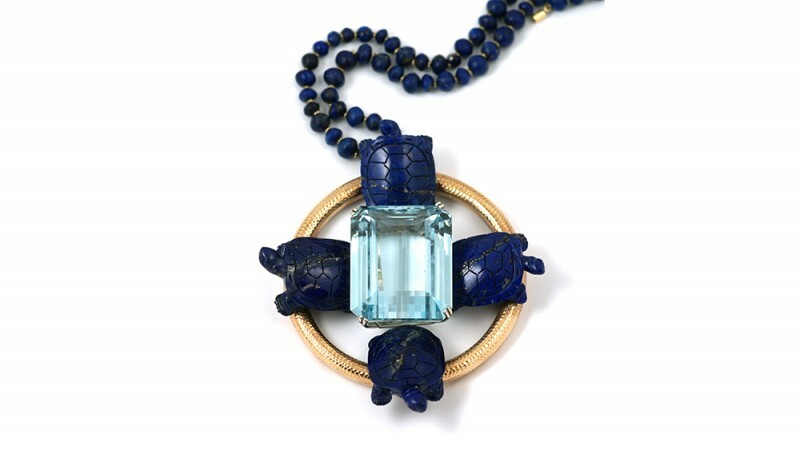 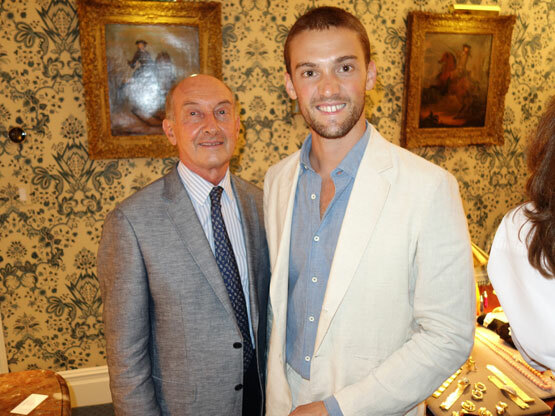 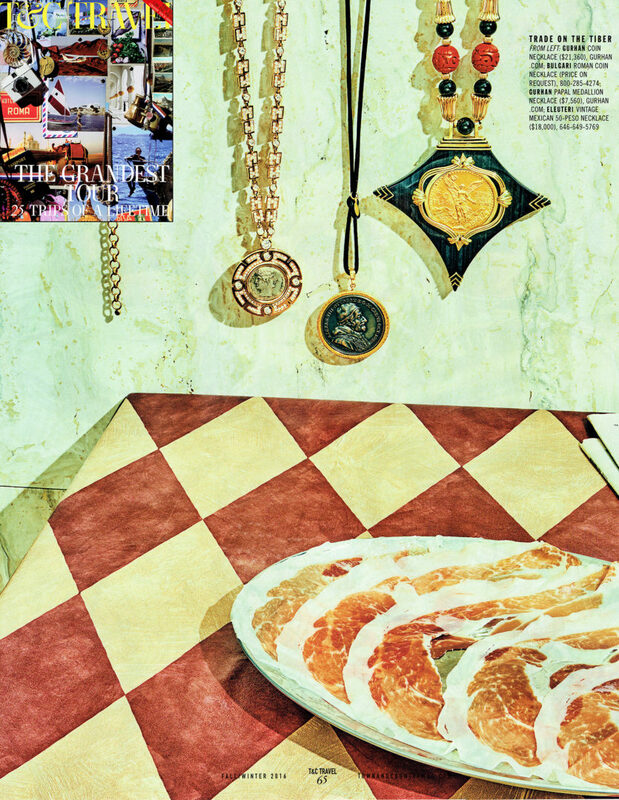 Our Vintage Mexican Peso Necklace on Town & Country Travel Issue.. 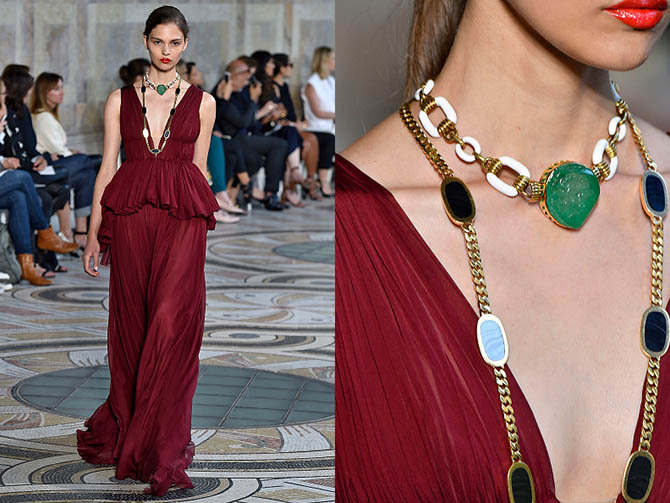 Glamorous Italian actress Ilaria Spada wearing a vintage David Webb necklace, centering a large carved emerald, for Vanity Fair Italy, overlooking Rome from the capital's Waldorf Astoria..